Want to write a guest blog post for the My Pillow Guide? Why’d you want to write a guest blog post for me? Get an author bio and photo at the end of your blog post. Clickable links to your website/blog/social media. Step 1: Send a query email. Email services[at]mypillowguide.com, with the subject of ‘Guest Blog Post’. Include in your query email: a short blurb about yourself and what you would like to blog about. Also include any links to your blog, facebook or twitter. Please do not send in full articles as a submission query. Step 2: Wait for a reply. If I like the sound of what you intend to guest post, I will then send you the green light to go ahead and write/create/do your guest post. Word Count: Starting from 1200 words. Please make sure all spelling and grammar are correct, with no double spaces between sentences. I recommend you have your guest post proofread by another person. The My Pillow Guide may edit guest posts prior to publication. By edit, I refer to spelling, grammar and punctuation errors only. If further editing is required, I will do our best to notify the author beforehand. Owned by yourself and you authorise My Pillow Guide to use them on My Pillow Guide blog/website. 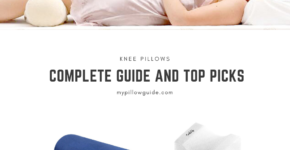 Are able to be used commercially for free, and My Pillow Guide is authorized to use them on My Pillow Guide website. I will not accept any responsibility for any copyright or ownership infringements made by guest posters. While original content is highly preferred, I’m open to accepting re-purposed blog posts, provided they are your original work and have not been published anywhere else other than your personal blog. By re-purposed I refer to blog posts that have been edited and re-written to ﬁt My Pillow Guide blog. Please reserve all self-promotion to your bio space. One or two links to a related blog post is acceptable ONLY if it is necessary to the ﬂow of your guest post. Any guest posts that are overwhelmingly “salesy” will not be accepted. All photography must be your own work, or you have the artist’s permission to use it freely for commercial use. You must include the name of the artist as credit in your guest post. Artwork or photography without speciﬁed credit will not be used. When taking photographs to include with your guest post, please ensure they are clear, appropriate and at high-quality resolution. My Pillow Guide reserves the right to edit and/or crop photographs.